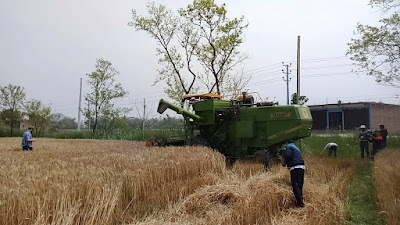 Demonstration of a wheat combine in Bhairahawa district, Terai Region, Nepal. 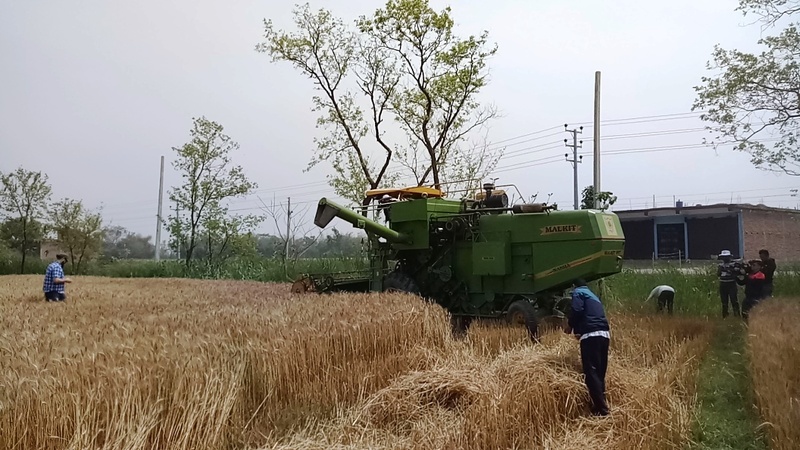 IRRI’s Mechanization and Postharvest Cluster participated in a traveling seminar on Mechanized Grain Harvesting for Smallholder Farmers in Nepal and Asia in Nepal on 25-29 March 2019 . The event aimed to identify mechanization research and learning areas across South and Southeast Asia, particularly Nepal, India, and Bangladesh. The traveling seminar included field visits and a workshop on farmers’ grain wheat harvesting, interactions with various distributors, service providers and operators of emerging technologies on rice harvesting at Nepal’s Terai Region. Dr. Timothy Krupnik, Lead of CSISA Bangladesh, said that CSISA is addressing challenges in smallholder farmers’ productivity and that the traveling seminar is an avenue to stimulate ideas for collaborative research around markets and market system on appropriate mechanization. 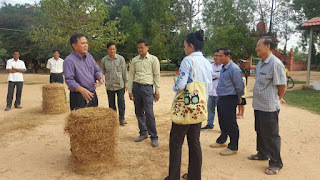 With his extensive experience in agriculture and great contribution to the International Rice Research Institute (IRRI), Dr. Cao Đức Phát, the former Minister of Agriculture and Rural Development (MARD) of Vietnam from 2004 to 2016, was recently appointed as a new member of IRRI's Board of Trustees. His appointment will be effective 10 January 2019 for a term of three (3) years. 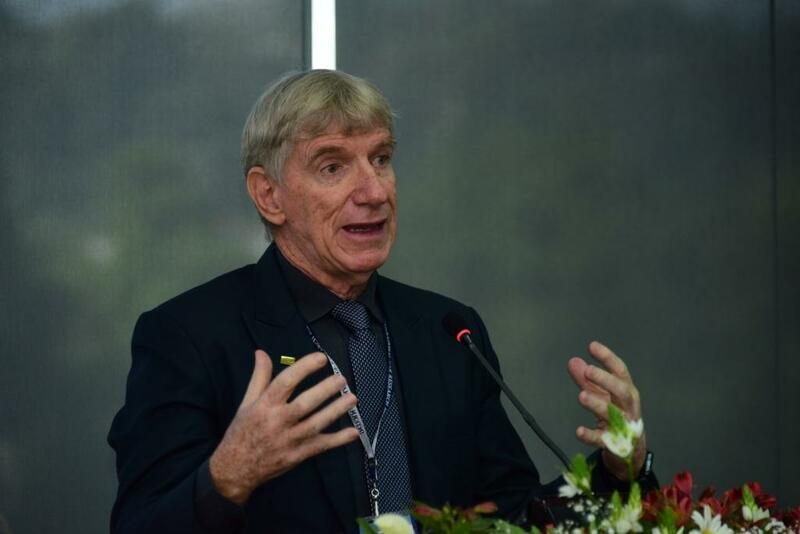 In a meeting to celebrate Dr. Phát’s appointment, Dr. Ole Sander, the IRRI country representative to Vietnam, recalled the significant contributions Dr. Phát provided to IRRI when he was the minister of MARD. 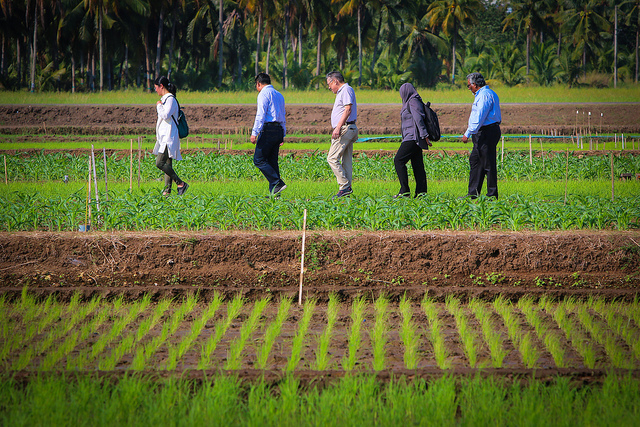 These include allowing IRRI to have an active role in the development of the rice restructuring plan of Vietnam, as well as helping strengthen the research and capacity building collaboration between IRRI and the Vietnam Academy of Agricultural Sciences (VAAS). Building on its success in developing and delivering improved rice varieties in South Asia and Africa, IRRI through the Accelerated Genetic Gain in Rice (AGGRi) Alliance continues to strengthen its partnership with the national research and extension systems to increase rice yield and improve livelihoods of rice farmers in these regions. According to IRRI breeder and project leader Joshua Cobb, “AGGRi Alliance will combine the progress made in modernizing IRRI’s rice breeding through Transforming Rice Breeding (TRB) project, with the successful trialing networks, germplasm development, and seed systems from the Stress Tolerant Rice for Africa and South Asia (STRASA) project - both supported by the Bill and Melinda Gates Foundation (BMGF) - into a single initiative that will expand IRRI’s variety testing networks into a globally aligned, modernized, rice breeding 'community of practice'. 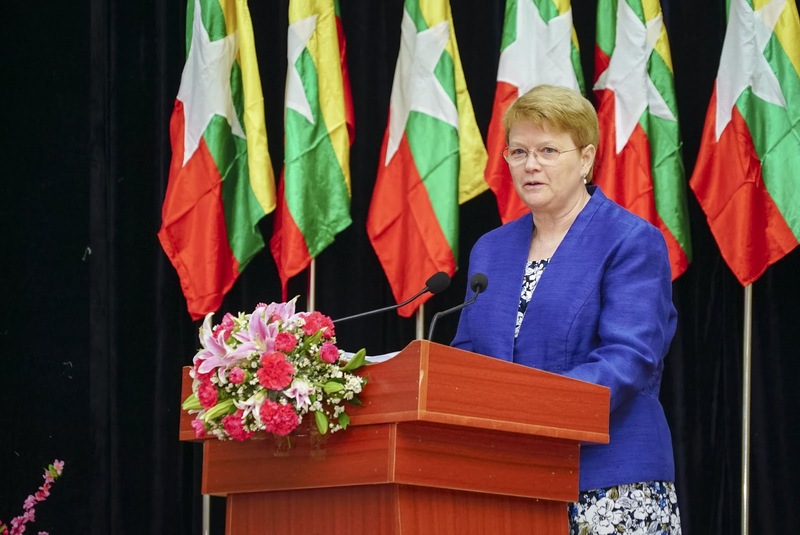 It will also empower women involved in the rice value chain which will be unified by a set of standards developed to make breeding decisions consistent with the demands of regional farmers, consumers, and processors”. 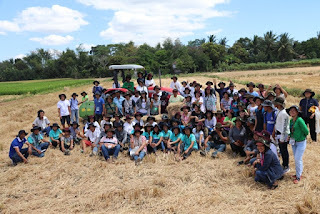 Iloilo is one of the major rice baskets in the Philippines, and mechanization could play a role in increasing the productivity of rice farming in the province. 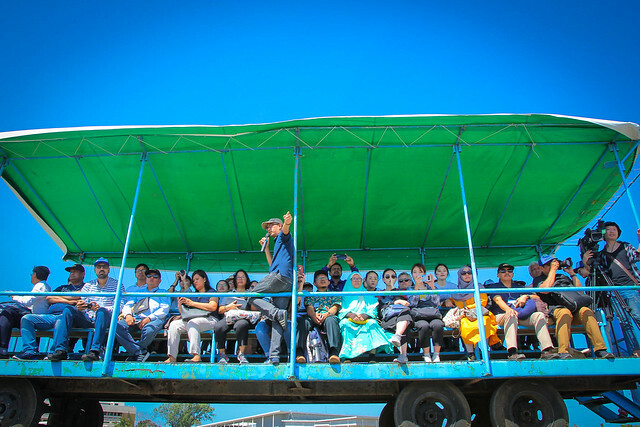 Last 7 March 7, the laser-guided land leveling system and rice straw baler were showcased to demonstrate its benefits and determine opportunities for future use. One hundred sixty five mushroom growers, ruminant raisers, rice farmers and members of irrigators’ association, graced the event to assess the benefits that can be obtained from using these technologies to help improve farming livelihoods and accelerate the Iloilo’s rice competitiveness. Mr. Peter Sobrevega, Regional Technical Director of the Department of Agriculture- Regional Field Office for Region 6, welcomed the participants and partners to the event and emphasized how important these technologies are in terms of improving the rice farming industry. 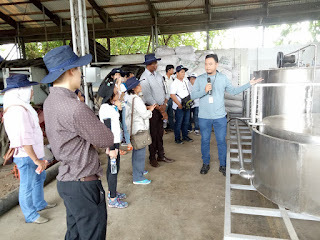 He also mentioned that mechanized rice straw collection using rice straw balers, through the support of the RiceStrawPH project, can also help the Philippine Carabao Center (PCC) and the National Dairy Technology to improve the livestock sector. 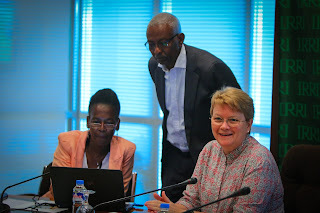 14 March 2019, IRRI Headquarters ~ The Direct Seeded Rice Consortium (DSRC), a multi-stakeholder research for development platform established by the International Rice Research Institute (IRRI), held its first annual review and planning meeting to discuss the progress and challenges encountered in their first year. Direct seeding is a crop establishment system wherein rice seeds are planted directly into the field, as opposed to the more conventional method of growing rice first in a nursery, then transplanting it into a flooded plot. Besides saving significant water, labor, and time, direct seeding also greatly decreases the output of greenhouse gases, which contribute to climate change. 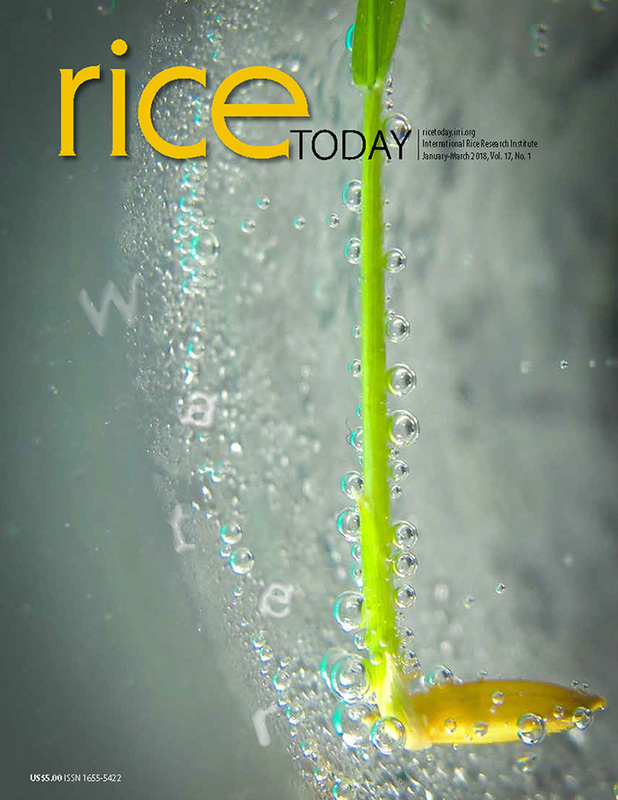 Some of the trade-offs associated with the shifts from transplanted rice to direct seeding include use of higher seed rates, and higher weed infestation. 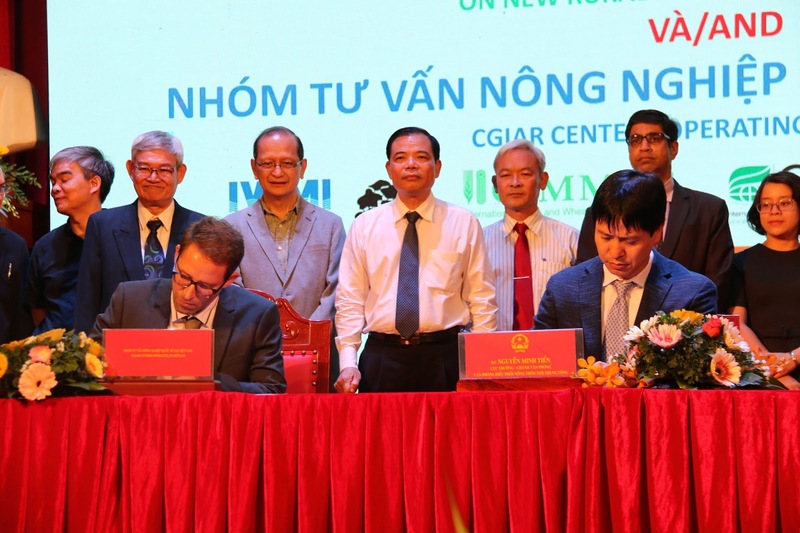 For more than five decades, CGIAR and its centers have been collaborating with Vietnamese partners in pursuing agricultural development, poverty eradication and sustainability in the country. 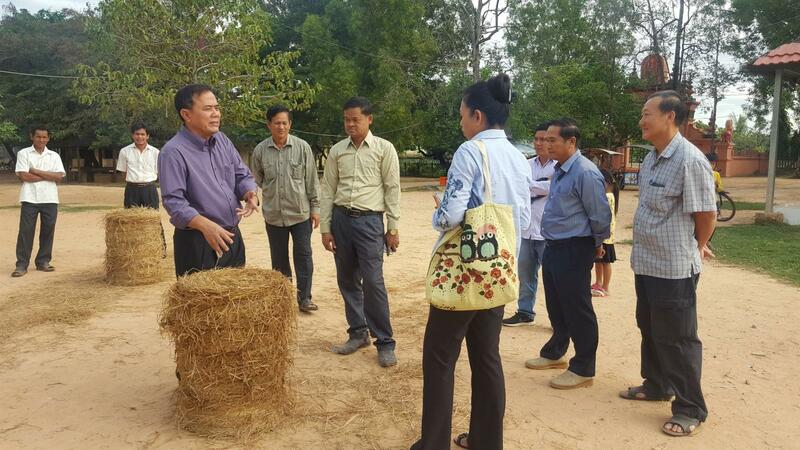 CG Centers and CGIAR Research Programs (CRPs) have done a lot of work in Vietnam on improving the income and livelihood of the rural population and helping them cope with the impacts of climate change. With this relevance and strong research for development (R4D) capacity, the National Coordination Office of the National Target Program on New Rural Development (NTP-NRD) forged a partnership with CGIAR centers operating in Vietnam to work together for the NTP-NRD or the Nông Thôn Mới program. As a comprehensive development program, the Nông Thôn Mới program not only aims to build new rural areas by having appropriate socio-economic infrastructure and protecting national defense and security but also combining agricultural development with industry and services and conserving the environment. 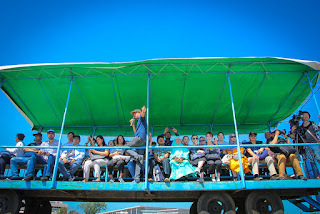 “We have surpassed our original target, that is, to reach 500,000 farmers,” he said. 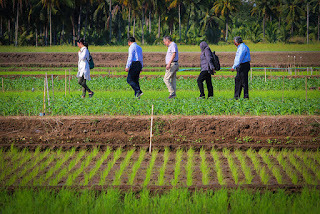 A year ahead of schedule, IRRI, through the “Closing Rice Yield Gaps in Asia with Reduced Environmental Footprint project (CORIGAP-PRO)” and its partners from China, Indonesia, Myanmar, Sri Lanka, Thailand, and Vietnam has already reached its goal in reaching smallholder farmers, improving yield and income through innovations towards sustainable rice-based systems. 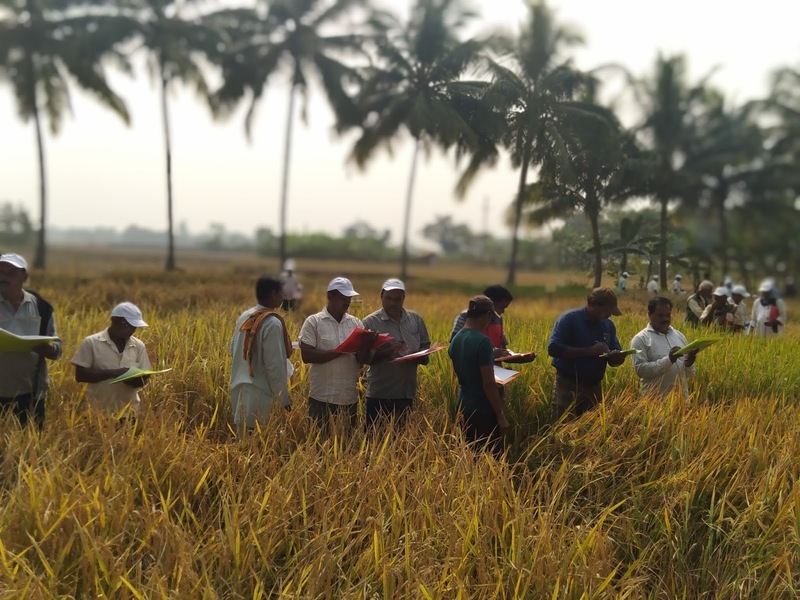 According to Grant Singleton, project leader of CORIGAP –PRO, “Our efforts on promoting best management practices in rice have reached more than 600,000 farmers with best practices for lowland intensive rice production across six Asian countries. 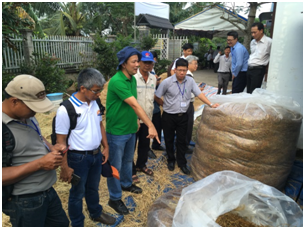 About 118,000 farmers have adopted best practices and increased their rice yield by 11-20%, and profit by 15-25%,” he said. 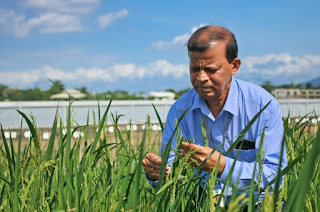 IRRI delivers through research excellence. 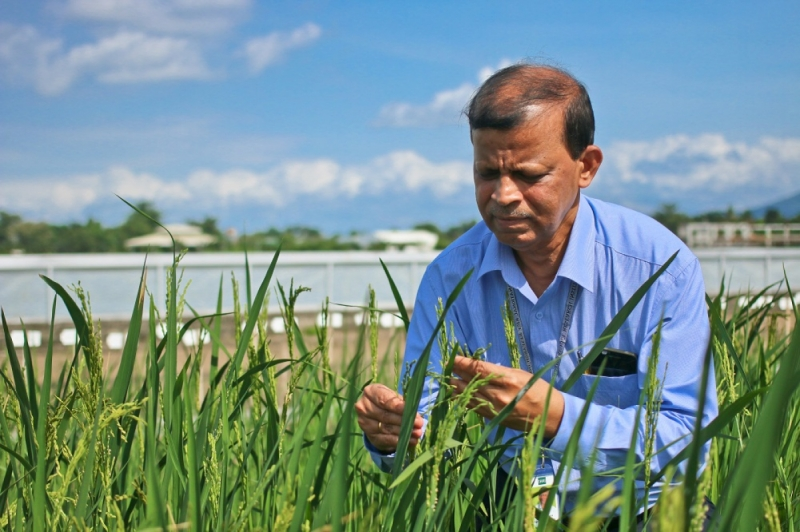 The International Rice Research Institute (IRRI) is now recognized by the Excellence Through Stewardship (ETS) Organization after its successful completion of the audit cycle under the ETS Global Audit Process. In a concerted effort to achieve global standards in stewardship for its biotech research, IRRI started the process of accreditation by becoming a member of ETS in November 2016. Under the leadership of Dr. Gururaj Kulkarni, Senior Scientist, Head of IRRI’s Research and Regulatory Compliance, supported by Eduardo Fernandez, Manager of Stewardship and Quality Management, the audit team worked with the institute’s Biosafety Function and Seed Health Unit to prepare all materials that are required by the ETS. 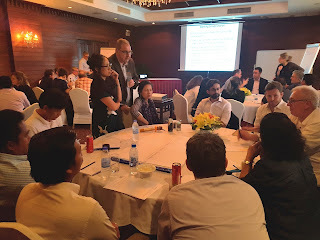 Tony Agostino, stewardship consultant, and Shah Thankappan, stewardship technical expert from Bayer, also supported as advisors for the process. 18 December 2018 - IRRI organized a National Consultation and Stakeholders’ workshop on Impact of Alternate Wetting and Drying (AWD) Technology on Farm Incomes and Water Savings last 18th December at the Ministry of Agriculture (MoA) in Dhaka, Bangladesh. The meeting was hosted by Mr. Md. Nasiruzzaman, Secretary In-charge, Ministry of Agriculture, with Special Guest Dr. Md. Abdur Rouf, Additional Secretary (Research) at the premise of MoA. 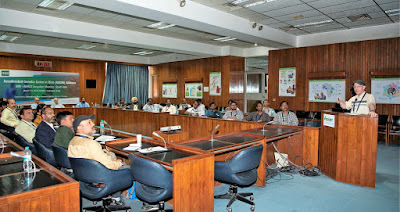 Professor Dr. Lutful Hassan, Consultant, International Rice Research Institute (IRRI) chaired the meeting. 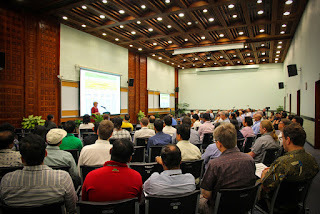 The Sustainable Rice Straw Management Project, funded by the Federal Ministry for Economic Cooperation and Development (BMZ) of the German government, conducted a training workshop on sustainability analysis and best practice identification based on Life Cycle Assessment (LCA) at IRRI Headquarters on December 11 to 14, 2018. The Mechanization and Postharvest Cluster staff, led by scientist Dr. Nguyen Van Hung and IRRI scholar Maria Victoria Migo, facilitated the training using the Simapro software for LCA geared for the rice-based researches of NARES project partners and researchers. The training also aimed to facilitate the sharing of research results from the BMZ-funded rice straw projects and generate collaboration among participants that are interested to use LCA for their future research endeavors.